A Kansas City-Denver game that looked to be another primetime stinker proved a thriller in the end as the Chiefs won on Cairo Santos’s field goal that ricocheted off one upright and in as overtime expired. 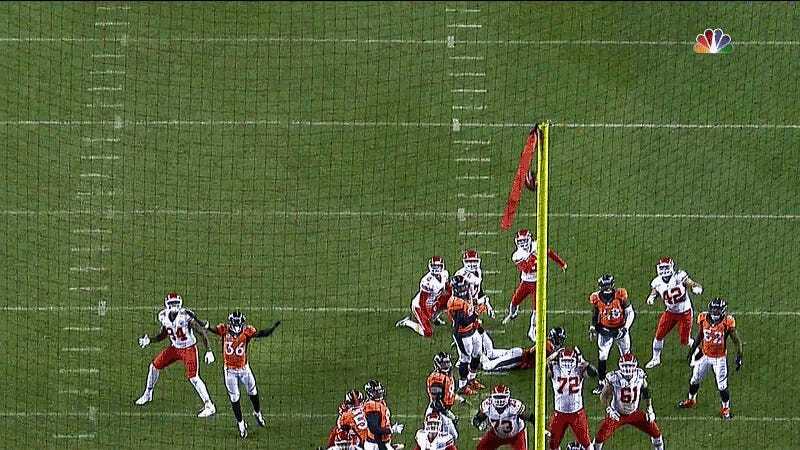 The game appeared to be headed for yet another tie as Brandon McManus shanked his 62-yard attempt with a minute left in added time. That was after both teams earned field goals on their first OT possessions—and after a last-second touchdown catch by the Chiefs’ Tyreek Hill and a successful two-point conversion.